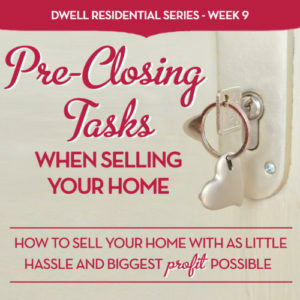 This is the ninth article in our series called, Love Selling Your Home: Minimize Your Stress, Maximize Your Profit, Dwell Residential’s step-by-step guide to selling your home. Our series takes you through the entire home-selling process — from finding a real estate agent to settlement day. You’re now one step closer to officially selling your home. Even though you have a contract with buyers, you’re not done just yet. There’s a lot to get completed before closing day, and you might feel like your “to-do” list keeps growing and growing. And, you’re right! It may feel like you’ve got a million things to do and a quick deadline to do them. Take a deep breath since we’ve got you covered with this handy list below. It tells you what you should be doing as settlement day nears, and it will help keep you organized on paper with everything that’s swirling in your head. We understand that juggling a move on top of settlement day can add to the stress. Depending on your contract, you may or may not need to be out of your home by the agreed upon settlement date. 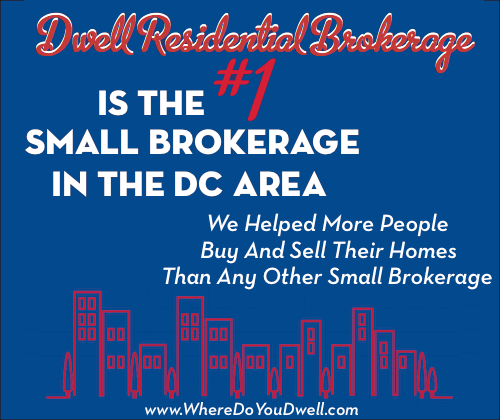 For example, some sellers may rent back from the buyers for a short period before they move. Your contract may include a contingency that gives the buyers a certain number of days to complete an inspection by a professional. On the day of the inspection, you should not be at home but your agent can be present as your representative. You can be available via phone to answer any questions though. Make sure all of the utilities are on even if you have moved out at this point. Depending on the inspector’s report, the buyers may ask for repairs, try to renegotiate the price to compensate for handling the repairs themselves, or even cancel the contract if they wish. If you agreed to do repairs, be sure to hire licensed contractors and provide receipts to the buyer as proof that the agreed upon repairs were done in a workman-like manner by these contractors. This is typically the requirement of the home inspection agreement. It can be a whirlwind of activity right now in the final days of living in your home. However, you do want it ready for the new homeowners and not have any loose ends. You may be moving out … but they are moving in! Make any necessary repairs after the home inspection if agreed upon. Collect any receipts and information on this work to prove you have satisfied any inspection amendments. Disconnect the utilities effective the settlement date. You should schedule a final reading too. Contact your insurance company to cancel your insurance effective the settlement date. Forward your mail with the post office. Notify important people and companies of your change of address as well. Organize any information to pass on to the new owners about the home, such as appliance information (receipts and manuals); warranties; repair records for appliances, water heater, furnace, etc. ; and any contractor dates of service. This is when your home maintenance manual comes in handy! Collect and label all keys to every door, any mailboxes, garages, outdoor shed, etc. Plan to bring them to settlement to hand over to the buyers. Make sure the house is in “broom swept” condition after you move out. Usually the buyers will complete a walk-thru before heading over to where you’ll meet to close on the home. Your agent will go over everything you need to have done and to bring on settlement day. Call your bank and make sure they have your new mailing address. They will need to send you proof of your loan being paid off as well as any remaining balance of your escrow account. Bring information about where you’d like your proceeds from the sale to be sent by the Title Company, etc. For example, a voided check to the account to which you want your proceeds wired. Double check that the entity who is handling the closing has all the necessary documents and they will be ready to be signed by the settlement date. Place a call to confirm they have received all necessary documents so there are no surprises on that day. Now is the time to discuss any concerns with your agent if you anticipate any disputes. Don’t wait for the actual day, but rather anticipate during these pre-closing days to settle any concerns. You just learned that you’ll be busy with many pre-closing details, which includes moving too! That’s why our next article is perfect — Get Organized for the Big Move. Here’s the help you need to in order to say “good-bye” to your old home and say ”hello” to your new one!